23837 American Diorama Figurine - 1:24 scale Car Model Sue Figure in BLACK. Hand painted cold-cast resin. 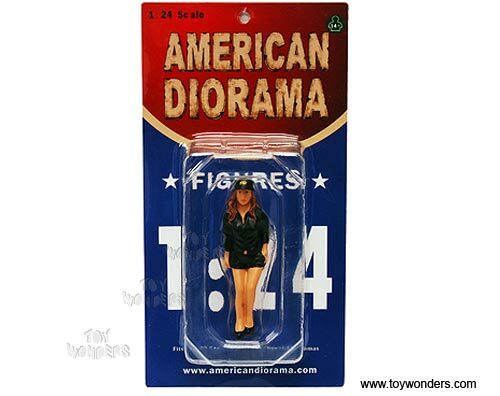 This 2.75" figure is great for decorating 1:24 scale cars and dioramas. Manufactured by American Diorama. Individually packed in a blister card. Card size: 3.75" x 7.5". Note: Vehicle is not included.